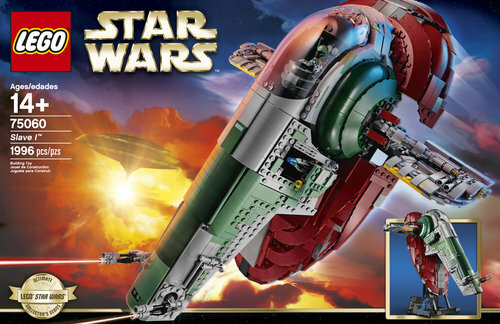 In this thread is all the information regarding 2014 LEGO Star Wars sets that we have collected. 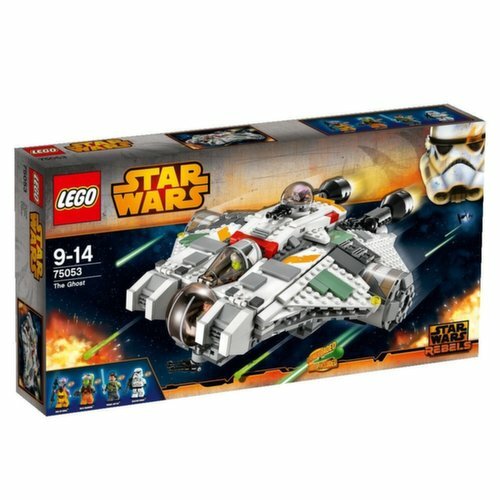 Discuss the 2014 sets here! Stay on topic. Do not post fabricated information, which could lead to your account being banned. 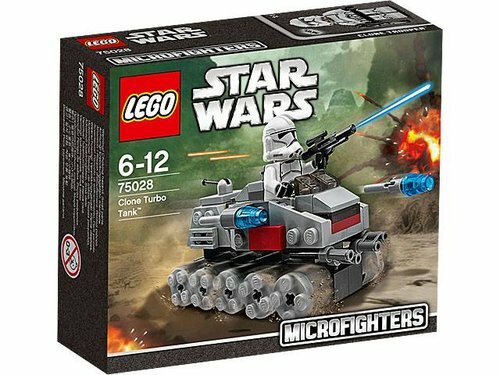 Official description: Prepare for miniature battle with the LEGO® Star Wars™ Clone Turbo Tank™ microfighter with wheels, flick missiles and a Clone Trooper™! 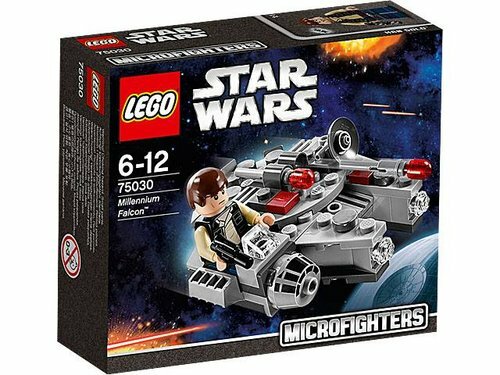 Official description: Engage hyperdrive with the LEGO® Star Wars™ Millennium Falcon™ microfighter with cool detailing, flick missiles, mini cockpit and Han Solo™. 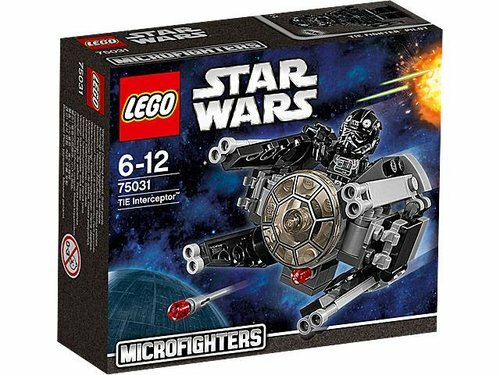 Official description: Attack the Rebels with the LEGO® Star Wars™ TIE Interceptor™ microfighter with cool detailing, 2 flick missiles, mini cockpit and a pilot! 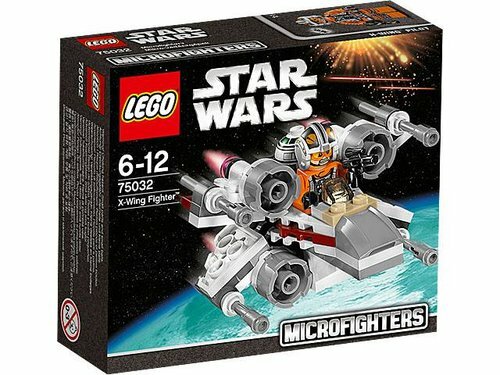 Official description: Take on the Empire with the LEGO® Star Wars™ X-Wing Fighter™ microfighter with moveable wings, flick missiles, mini cockpit and pilot. 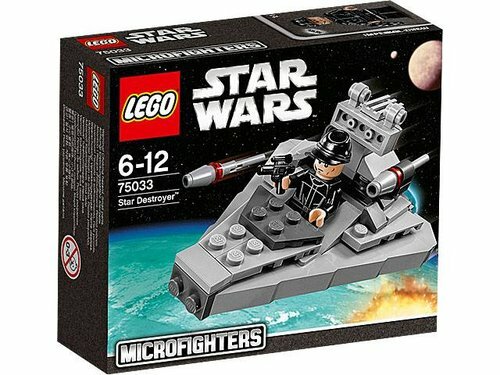 Official description: Track the Rebels with the LEGO® Star Wars™ Star Destroyer™ microfighter with flick missiles, mini cockpit, Imperial Crew and more. 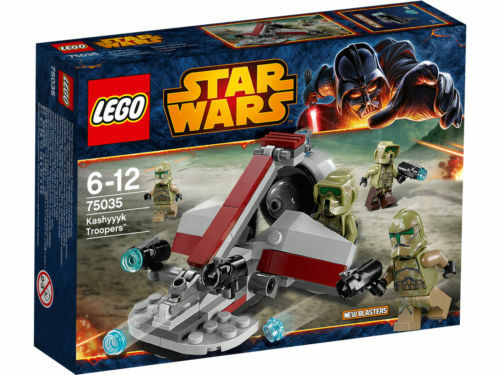 Official description: Collect the LEGO® Star Wars™ Kashyyyk Troopers™ battle pack with 4 minifigures, swamp speeder and cool, new blasters. 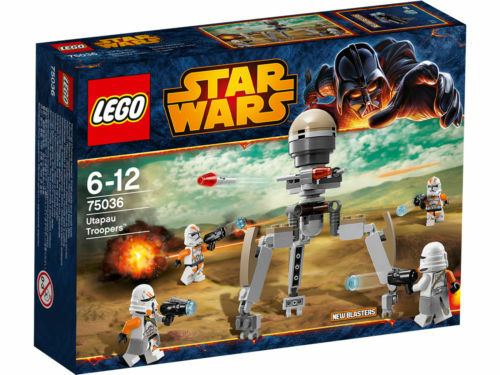 Official description: Build the LEGO® Star Wars™ Utapau Troopers™ battle pack with 212th Battalion Clone Troopers™, Airborne Clone Troopers™ and a Tri-Droid. 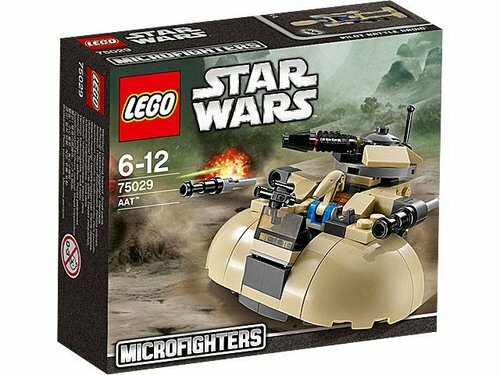 Official description: Jump on the speeder, fire the shooter and hit the targets with the Battle on Saleucami battle pack with BARC Trooper™ and 4 Droids. 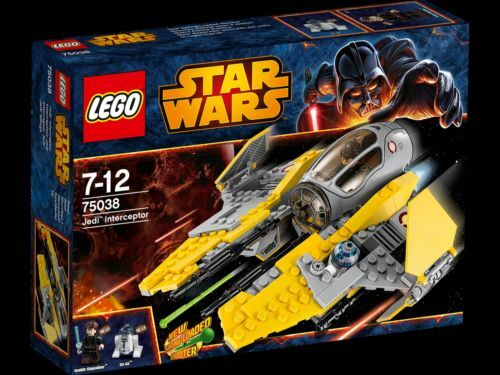 Official description: Build the LEGO® Star Wars™ Jedi™ Interceptor set with opening cockpit, folding wing flaps, dual shooters, Anakin and R2-D2™. 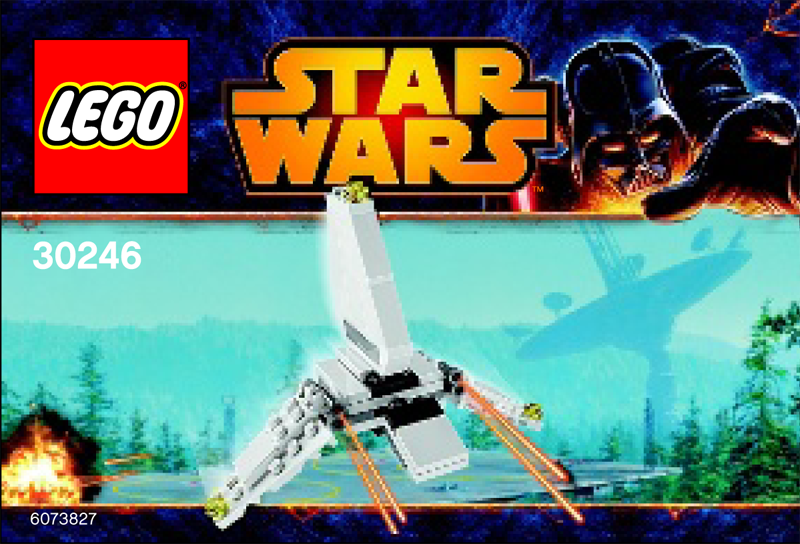 Official description: Build the agile LEGO® Star Wars™ V-Wing Starfighter™ with opening cockpit, rotating wings, shooters, V-Wing Pilot and an Astromech Droid™. 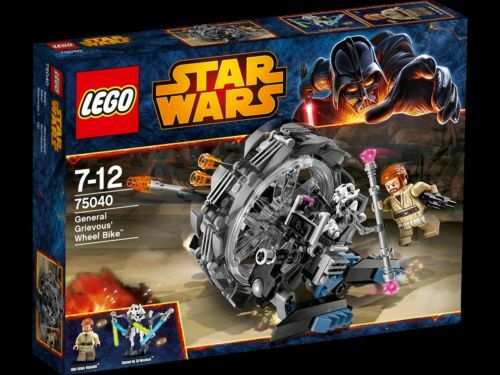 Official description: Build LEGO® Star Wars™ General Grievous’ Wheel Bike™ with turning wheel, fold-out clawed legs, laser cannons, flick missile and more. 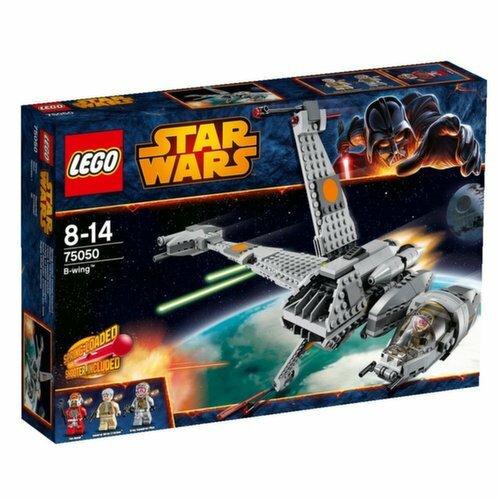 Official description: Build the LEGO® Star Wars™ Vulture Droid™ set with dual shooters, flying/walking modes, poseable head, Buzz Droid™, Pilot Battle Droid™ Pilot and more. 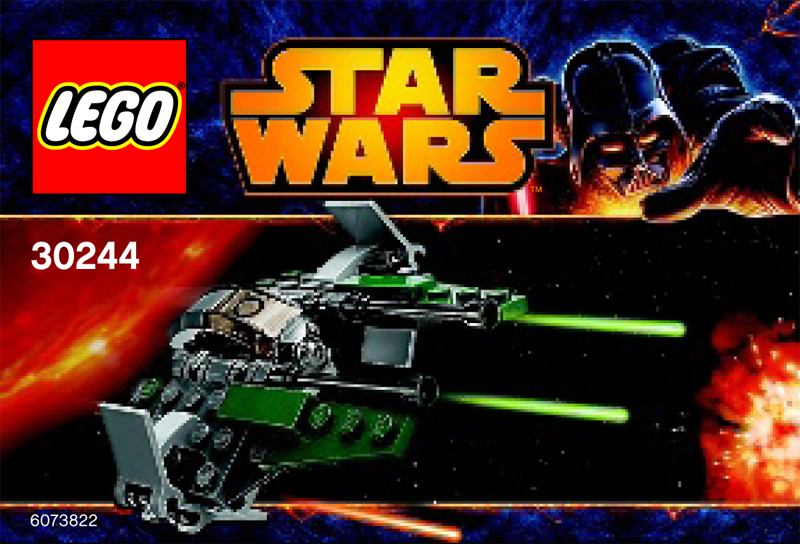 Official description: Launch heavy attacks with the LEGO® Star Wars™ Droid Gunship™ with dropping bombs, powerful shooters, opening cockpit, escape pod and more! 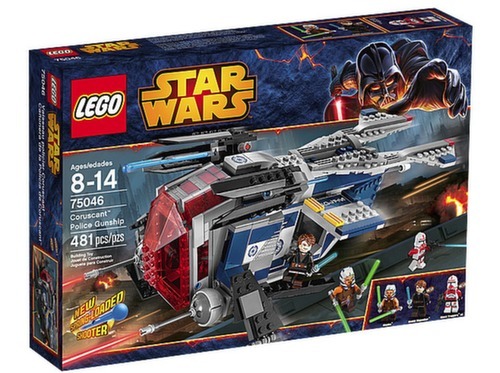 Official description: Build the LEGO® Star Wars™ Droid Tri-Fighter™ with 3-wing design, opening center sphere, Buzz Droid™, Chancellor Palpatine™ and more. 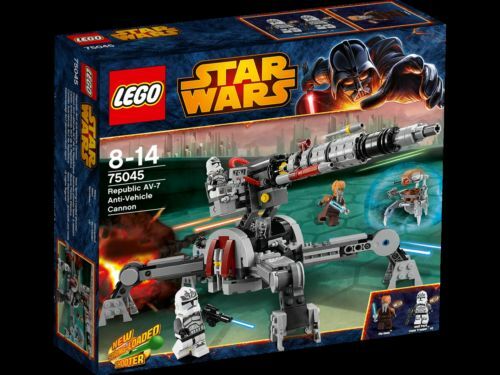 Official description: Build the LEGO® Star Wars™ Republic AV-7 Anti-Vehicle Cannon with folding legs, elevating gun with shooter, flick missile and more. 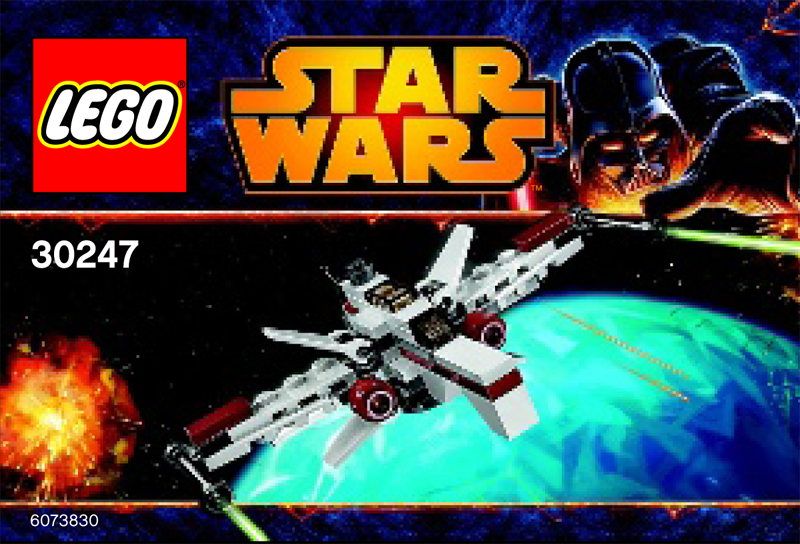 Official description: Build the LEGO® Star Wars™ Coruscant™ Police Gunship with sliding cockpit and doors, folding wings/landing gear, 2 shooters and much more. Official description: Take on evil Imperial forces in The Phantom with opening cockpit, 2-way spring-loaded shooter, rear cargo compartment and more. 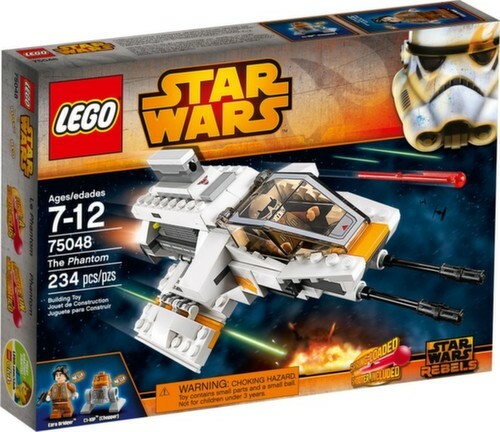 Official description: Battle the Imperial Forces with the super-sleek Snowspeeder™! Official desciption: Defend against Imperial attacks with the B-wing™ with rotating cockpit, 4 large engines, 2 spring-loaded shooters and foldable wings. Subtheme: Yoda Chronicles? Release: Summer 2014? 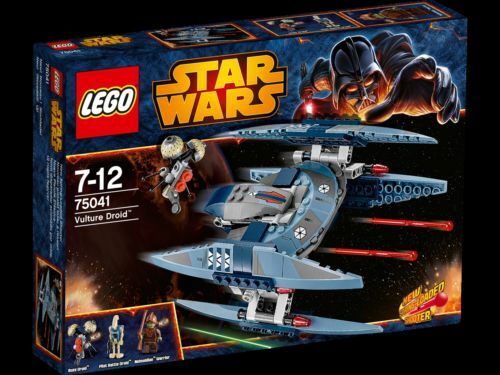 Official description: Protect the Holocrons with Jek-14™ and the Jedi™ Scout Fighter with dual cockpit/escape pod, spring-loaded shooters and rotating cannon. 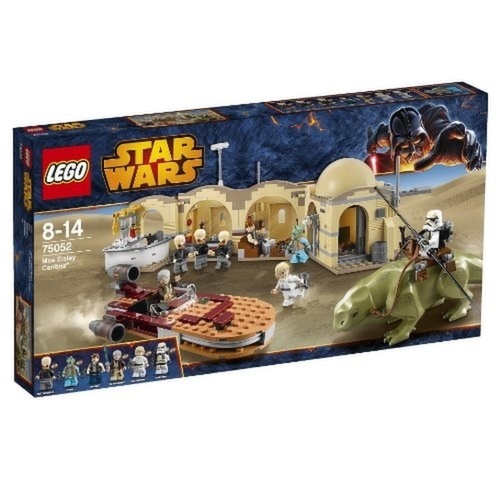 Official description: Enter the Mos Eisley Cantina™ including droid scanner, bar, slide-out floors, opening roof, plus a Landspeeder, dewback and 8 minifigures. Official description: Pilot The Ghost with 2 cockpits, 360-degree rotating gun turret, spring-loaded shooters, detachable escape pods, Holocron and more. 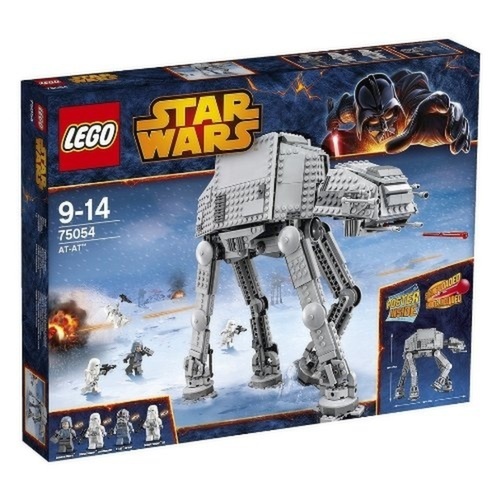 Official description: Recreate the Battle of Hoth with the AT-AT™ with moving head, spring-loaded shooters, switch-operated trap door and posable legs. Minifigs: AT-AT Driver, General Veers, Snowtrooper Commander and 2 Snowtroopers. 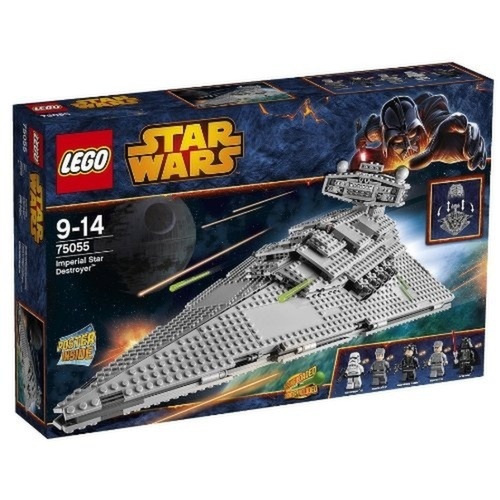 Official description: Join the evil Darth Vader on the Imperial Star Destroyer with synchronized cannons, spring-loaded shooters and Emperor Palpatine hologram. 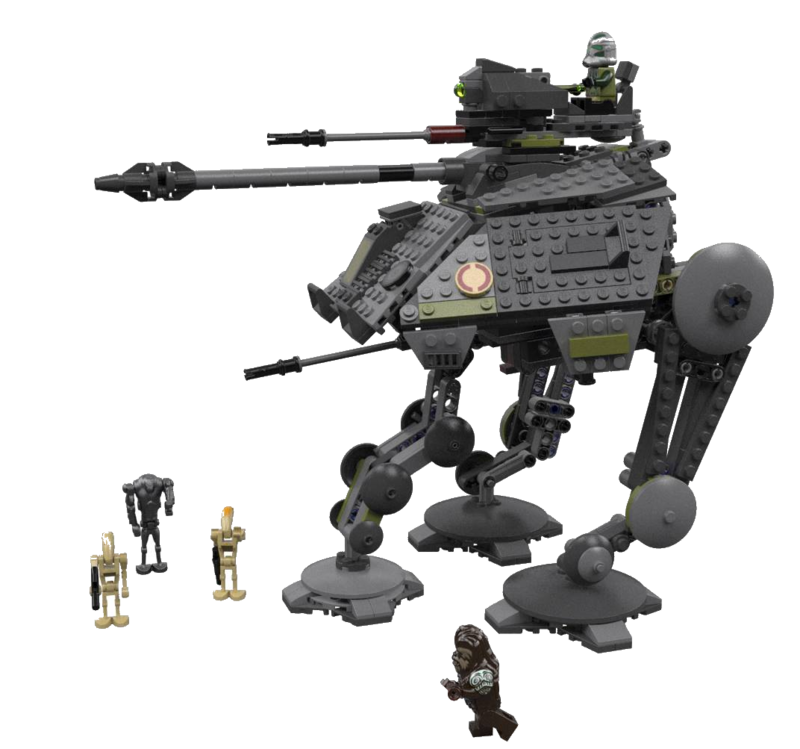 Official description: Transport droids in the MTT™ with hidden spring-loaded shooters, adjustable front cannons, STAP, Battle Droid™ rack, weapons rack and more. 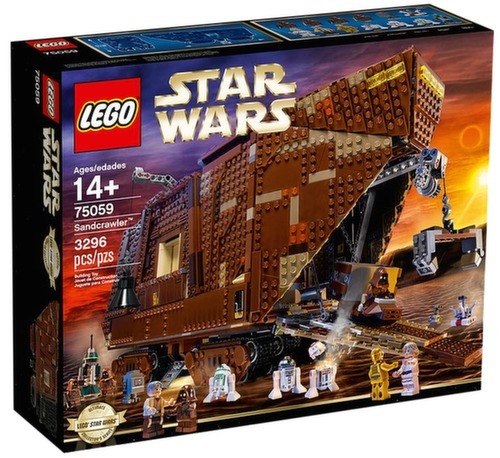 Official description: Travel the dunes with the LEGO® Star Wars™ Sandcrawler™ with working cranes, detailed interior, 7 minifigures, 5 droids and lots more! 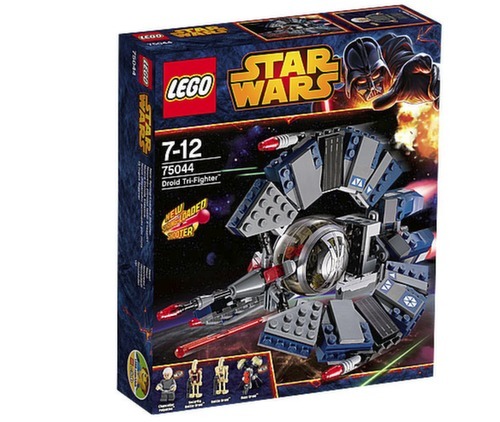 ...we'll be seeing a new SW set today! Unless someone already has pictures. My boys are very excited about Jek, I like the look of the figures in the full sized fighter compared to the mini SDCC set. 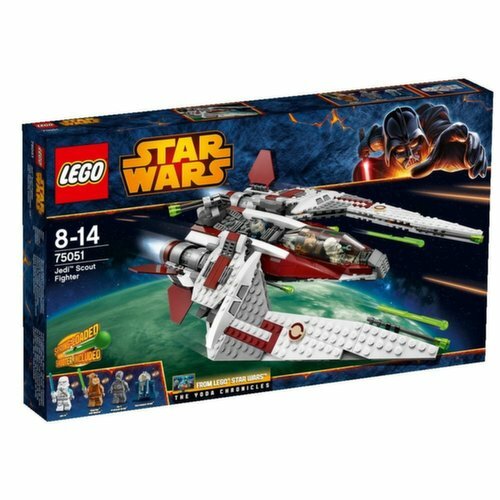 my boy is also looking forward to th JEK Fighter set, i think the ship is perfect for young ones and close to an e-wing for older people. Be ready to open up that new page! The new set is an AT-AP! Not too exciting. No other info but this here pic. That Wookie appears to be holding a musket. YES!!! Can't wait to see what the new set reveal will be. Wow, if true, that's too bad. Not that I'm doubting the info, but why would a big reveal like this be a remake? This gives people nothing to talk about, except complain about a remake, and a remake of a set that didn't even need remaking. Thanks CMS4 for the Picture! 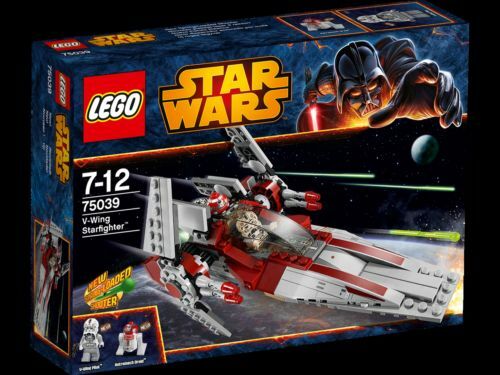 Well, the set looks alright, not a bad design at all, but although I love that Wookie Warrior, I think lego should have a Clone Trooper instead in that set. 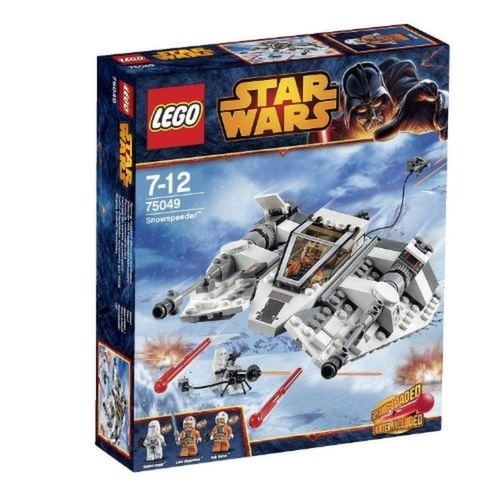 I think that's the problem lego's having recently, lacking Clone Troopers in Republic Vehical sets. I personally like having someone to pilot the vehical and someone to be a gunner as well. 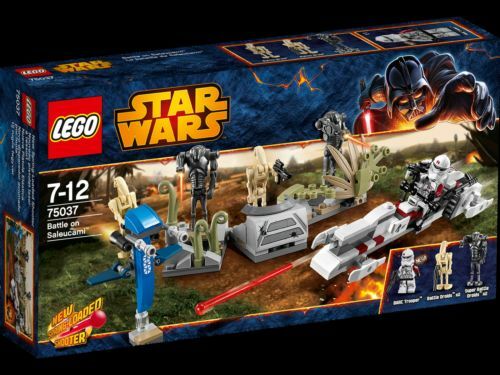 It's still a nice set, but I hope we see some more clone troopers at least in other sets. AT-AP ? Really ? Thanks TLG ! Where did that picture originate? 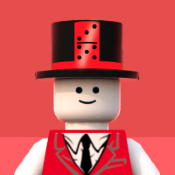 It looks like a render, and not up to TLG's normal quality. The lighting is poor, the image is noisy, the reflections on the Wookiee look fake, and there're jagged edges between the background and the subject in many areas. The new wookie seems nice, more accurate, but the vehicle is lame. It looks worse than the previous version. Do I spot a new part on the turret (the part with the trans-green bubble) ? It's about the same quality as the Batman set and the Movie set renders. Is that clone trooper supposed to be Phase II Commander Gree? 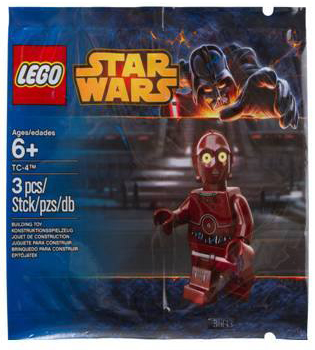 While others are so negative I would like this new AT-AP as I missed the first and if the wookie(Looks like Tarfful) and the Clone (That looks like an ep.3 Gree!) I will definitely buy this set more than once! That wookiee is nice. I hope they make a new version of Chewbacca at some point, he could use a bit of an upgrade. I went back to the video and clicked on the source image there, which doesn't have jaggies. Those must be the fault of whoever resized the picture you posted here. But those other two renders/pictures were both better lit than this one. 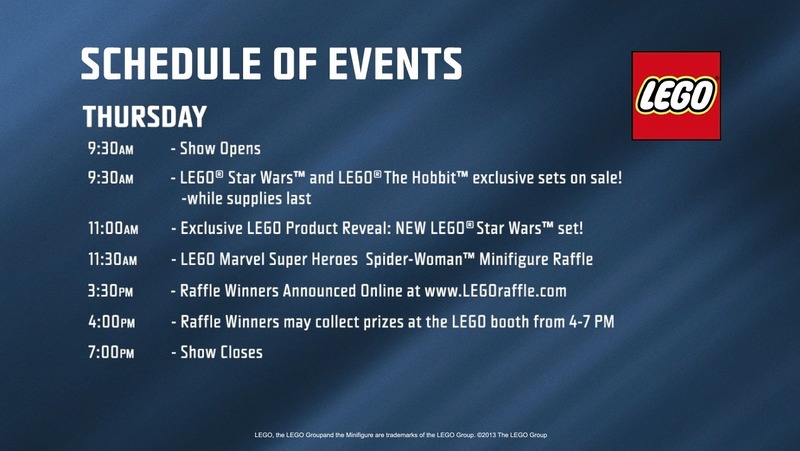 Plus this set isn't supposed to be unveiled for a couple more hours, and I have to wonder where Brick Show TV got their picture from. No movie blogs or normal news sites appear to have it; they're usually the ones with the pictures first during SDCC. 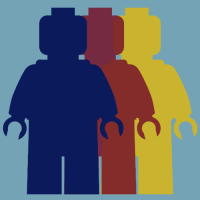 And none of the major LEGO sites have it up, so it doesn't seem like a picture TLG distributed to the fan sites. (Unless Brick Show posted it earlier than they were supposed to.) And this is also a vehicle that is by no means easily recognizable. The last two years, the SDCC unveilings have been much-asked-for, iconic sets: a Rancor pit and a TIE/ln remake and a Queen Amidala minifig. I know there's a fair possibility that I'm wrong, but considering the poorer quality of the image and the lack of sources, I have to be skeptical. 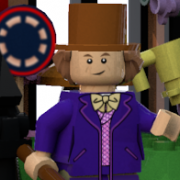 That is definitely a much lower quality, more strangely lit render than the other two (DC and LEGO Movie), but I still wouldn't be surprised if it's real. 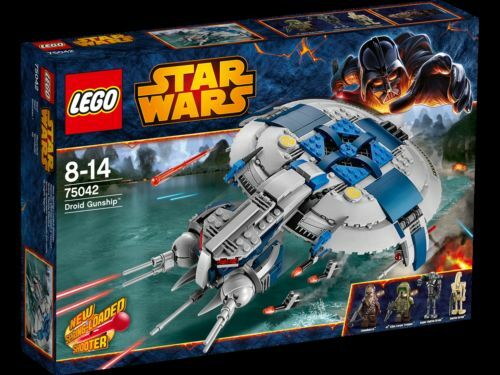 We've seen some off-looking LEGO photos before that turned out to be real - anybody else remember that picture of the Venator that hadn't yet had the background taken out to white? 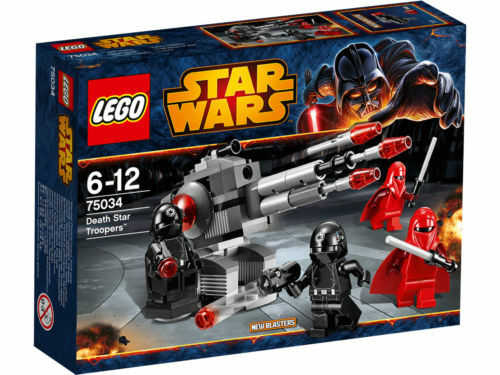 This set looks pretty boring. The AT-AP is an ugly vehicle to begin with, and I don't think it translates too well. The Phase II helmet introduced for the Clone Wars is just plain awful; the proportions are so out of whack (I thought it looked that way from the pictures but I actually own one too, so my opinion is based on something). That just makes Gree less exciting, since he appears to use it. 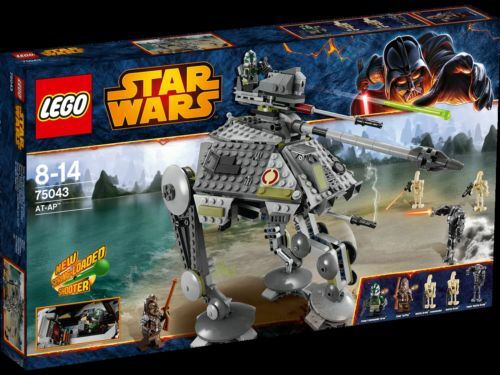 I can't believe I'd actually say LEGO should've made another tree, but really a Kashyyyk tree with command center, Gree, a Kashyyyk trooper, a wookiee, and some battle droids would've been so much better (could've thrown in Yoda too for more mileage out of that new PT Yoda). they could have waited to reveal the ewok village, that set there is boring in my opinion. They get their images from LEGO, judging by their other reveals and reviews of sets from LEGO (BTTF Time Machine), so I guess it's a bit unfair they're breaking the rules. I agree. I hope this isn't the most exciting January 2014 set. 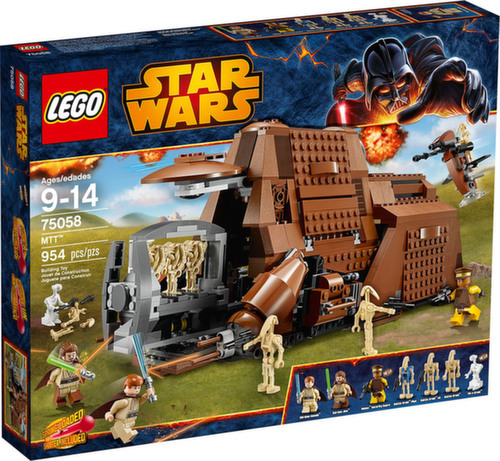 The 2011 reveal was the cool Tie Fighter (best big set of Jan. 2012 line) and the 2012 reveal was the awesome Rancor Pit (best big set of Jan. 2013 line). Of course, this is all my opinions. 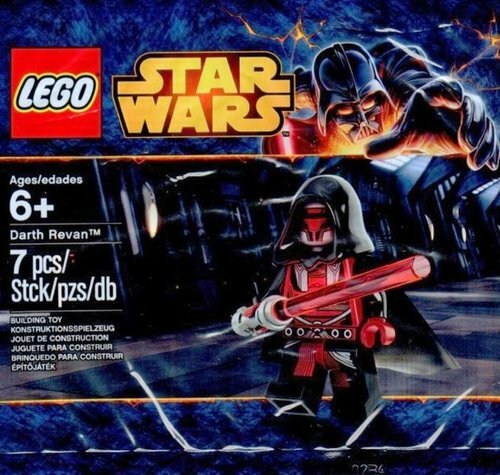 Looks like they didn't cancel out the EPIII sets after all then. The AT-AP looks nice, and I like the look of the Clone (or Commander Gree if it is him).